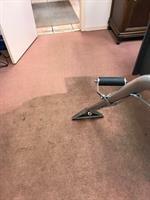 Howard's Cleaning offers residential and commercial carpet, tile & grout, and furniture cleaning. We have professional truck mounted equipment and portable equipment for high rises or hard to reach places. We have been in business since 2009 and are locally owned and operated. Our company provides free estimates and we are very affordable and honest. Our products are green and safe for pets and kids.